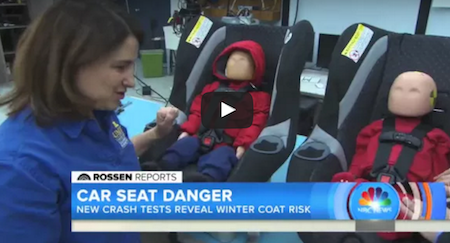 Why You Should NEVER Put Your Kid In A Car Seat With A Winter Coat – I Had No Idea! Winter is here and that means colder weather – so we bundle up in heavy coats to stay warm. But did you ever think of the dangers involved when it comes to your children’s winter coats and car seats safety? The video below shows you how putting a child in a car seat while they are wearing a winter coat could be a huge mistake. The dramatic crash test videos show that it could lead to deadly consequences. Make sure to share this with your family and friends! Mom And Dad Say Final Goodbye To Baby Girl, Then 30 Minutes Later Doctors Are Shocked! Crow Vs. Pizza Box – What Is This Bird Trying To Do?